May 17, 2014: Portland, Ore. It was a weird, but wonderful birthday present. Get out of town, my wife said. Go see a soccer game in Portland. Now I’m not a Portland Timbers fan. But I am a soccer fan. And I am a fan of Portland. And the two go very well together. A lot has been written about the fan experience in Portland. The Timbers Army, et al. It’s pretty much true, and I won’t repeat it. 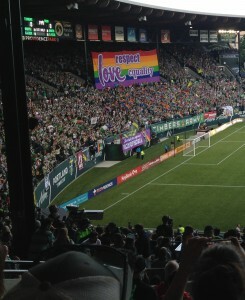 Timbers Army — European style tifo, without the fascism. What really pushes the experience over the top, and where Portland and its soccer team got a little lucky, is the stadium. I first set eyes on what was then Civic Stadium in 1990, the first time I visited Portland, and I was enchanted even then. It was a baseball stadium, but something about the way it was tucked into the Portland street grid connected with me. But I’d never seen a game there until now. The Timbers owner persuaded the city to pour some money into the old stadium help induce Major League Soccer to town, and part of the former outfield has been converted into a modern stand on the west side. 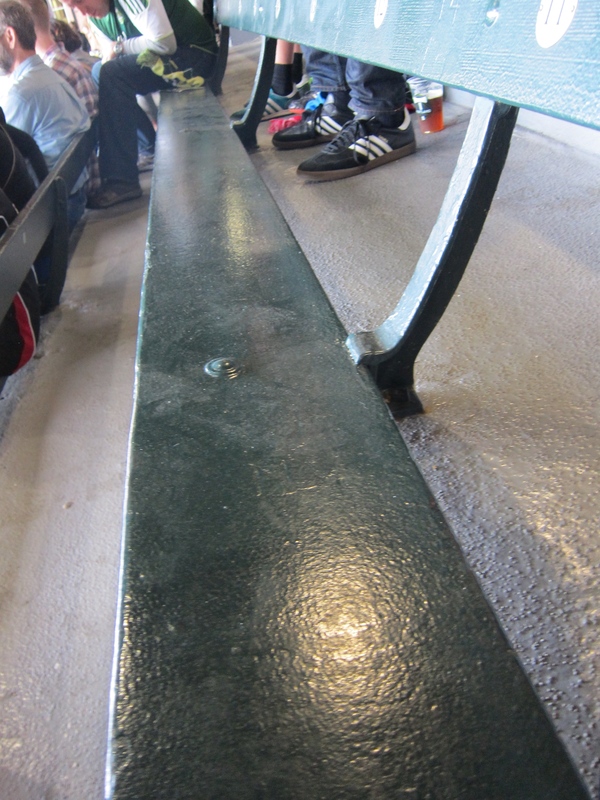 But the rest of the stadium is delightfully (unless your view is obstructed) retro. 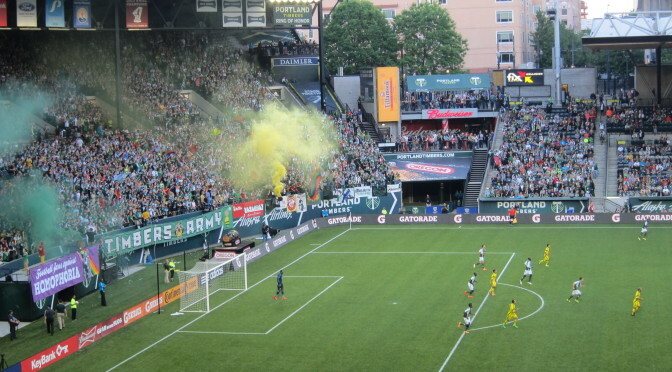 The layout of the stadium combines with the raucous Timbers fan base for a spot-on live experience. Nirvana for a soccer fan. The game itself was quite entertaining, with a mix of over-the-top fouls, spectacular goals, and gutsy comebacks. When all was said and done, though, I wasn’t sure how much of a deep impact the Timbers have made on the larger community. Was this support deep, but narrow? I think I got an answer the next morning, when I stopped at an industrial size breakfast operation, out in the suburbs near the airport, far from the yuppies of the Pearl and the Portlandia characters in Southeast. I had my Sunday Oregonian open to the sports section, reading about the game, and the server started chatting about the game, and how the Timbers were struggling this year. On that basis, I’ll say the Timbers have broken through. Hard proof not everything was updated when Portland renovated the stadium. The Bad Side: After Powell’s brutal foul, had to spend the next hour listening, over and over, to the bozo behind me complain to his friends about how the ref had blown the call and was biased against the Timbers. 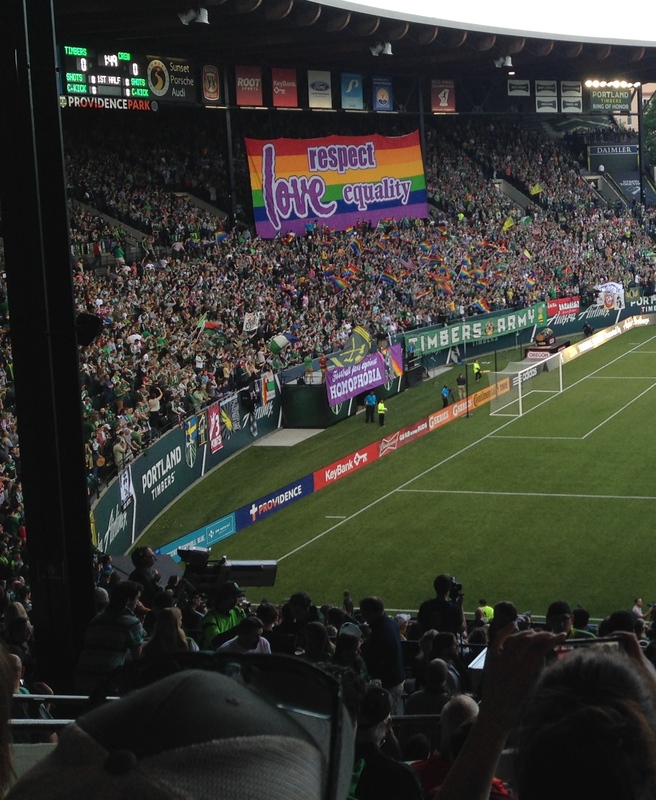 This is why Portland supporters are the Vancouver Canuck fans of Major League Soccer. Postgame Quote of the Year: Portland’s Will Johnson: “We have the heart of the lion, but the brain of goldfish.